CarGurus has 17,722 nationwide Maxima listings starting at $1,800. Boasting the completely new look it received for 2016, the 2017 Nissan Maxima midsize sedan, now in its eighth generation, furthers its aspirations of entry-level luxury by offering a combination of unique dimensions, distinctive features, and comfortable accommodations. 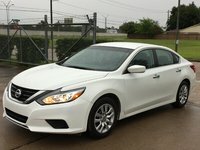 After hearing repeatedly that the mid-range Maxima too closely resembled its Altima cousin, Nissan apparently decided enough was enough and gave the 2016 Maxima a comprehensive redesign with a lowered profile to complement its relatively wide stance, updated boomerang headlights and taillights, a sleek V-Motion grille, and a somewhat ethereal roofline that’s intended to convey the impression of floating along above the body. Already in dealer showrooms, the 2017 Maxima is available in 5 trim levels: S, SV, SL, SR, and Platinum. All variations are only available with front-wheel drive (FWD) and sport 14.3 cubic feet of trunk space. A little larger than a true midsize sedan and not quite as big as a full-size 4-door, the Maxima offers plenty of room for the driver and front passenger; but its sloping roofline cuts down on rear-seat passenger headroom, and rear-seat legroom is also less than adequate for the average adult. Nissan has announced that higher-level 2017 Maxima trims will gain Apple CarPlay iPhone capability as an upgraded standard feature to be integrated into the NissanConnect infotainment suite. Perhaps in a nod to its recent embrace of the British term “bespoke”, Nissan will also offer 2 new dealer-installed accessory packages for the 2017 Maxima: the Medallion Package and the Dynamic Package. Look for a rear spoiler, puddle lamps, interior accent lighting, and 18-inch alloy wheels in the Medallion Package, while the Dynamic Package also includes a rear spoiler, along with illuminated door sills and side skirts. The 2017 Maxima’s drivetrain will include the recently up-powered 300-hp 3.5-liter V6 powerplant mated with a continuously variable transmission (CVT) to put out 261 lb-ft of torque. 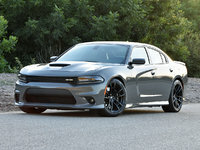 Recent tweaks to the V6 include sodium-filled valves that will withstand the higher compression ratio and higher combustion temperatures that are the results of the extra 10 ponies that were added for the 2016 model year. The Xtronic CVT, with a D-Stop arrangement that allows quick shifts for fast getaways on green, is a noteworthy improvement over the last generation’s CVT, but track tests had the 2016 Maxima going from 0-60 mph in 6.1 seconds, about average for the typical family sedan. Fuel-efficiency figures are currently estimated at an impressive 22 mpg city/30 highway/25 combined. Nissan's liberal use of high-strength steel in the Maxima’s frame, along with a 4-wheel independent suspension complemented by unique monotube rear shock absorbers, gives all trims a boost in ride and handling capabilities. The sporty SR trim also offers a standard oversized front stabilizer bar and 19-inch wheels. This reinvented 4-door has rapidly gained favor among value-seeking consumers for its comparatively extravagant interior appointments, which go heavy on leather upholstery and genuine stitching in higher trims, while the Advanced Drive Assist Display offers fingertip control of the 8.0-inch center-stack touchscreen. A new “Swipe to Meter” feature allows the driver to swipe the GPS navigation map from the center stack screen to a 7.0-inch driver information display located in the instrument cluster. Standard safety features aboard the 2017 Maxima SL, SR, and Platinum include forward collision warning and automatic emergency braking, adaptive cruise control, rear cross-traffic alerts, and blind-spot warnings. The National Highway Safety Transportation Administration (NHTSA) gives the 2016 Maxima its best 5-star rating overall, while the Insurance Institute for Highway Safety (IIHS) awarded the Nissan its highest rating of Good on all tests, with the exception of second-best Acceptable scores for the headlights and the LATCH child-seat seat anchoring system's ease of use. 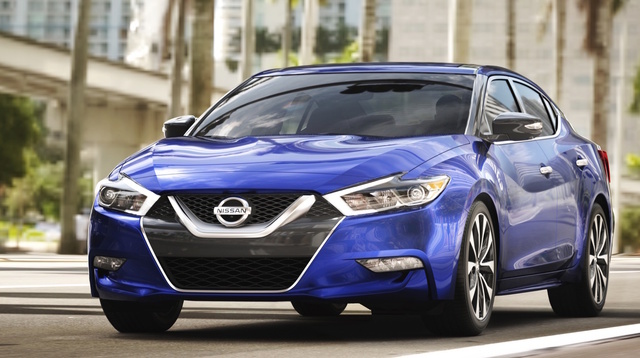 What's your take on the 2017 Nissan Maxima? Tim Looks pretty generic--like most other cars on the road--and trying to look mean and feisty, but not. ImnotTym Using the name "Tym" is much the same. Users ranked 2017 Nissan Maxima against other cars which they drove/owned. Each ranking was based on 9 categories. Here is the summary of top rankings. Have you driven a 2017 Nissan Maxima? I just bought a 2017 maxima. Forword emergency breaking warning light is on from day.this is my first car . I am really concern . What I can I do now? Drove all the way out for this particular car that was advertised and when I get there....the car was DEFINITELY not what was advertised. FALSE ADVERTISMENT....WHY!!! !